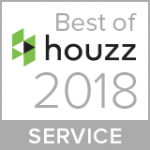 Houzz has named AHT Interiors Best of Houzz 2018 for Service! That’s four years running! 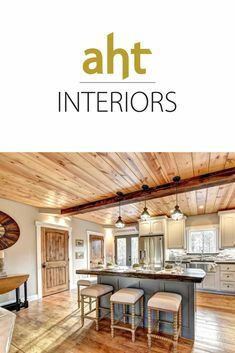 2017 – Dec: AHT Interiors was featured in Home Living North Georgia Magazine. Tracking Trends: What’s new in home decor for 2018. 2017 – Jun: Allison was honored to be asked to share her story for the June issue of Voyage ATL magazine! 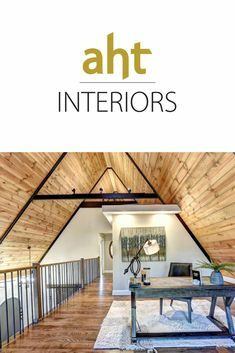 2017 – May: AHT Interiors was the focus of the cover story, A Lake Home Makeover, in the HOME Living in North Georgia: The Lake Issue. Best of Forsyth. 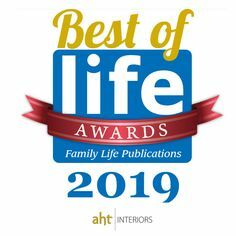 AHT Interiors has been designated “Best Interior Designer”in the 2017 Best of Forsyth contest. We appreciate this award from our neighbors in Forsyth County! 2016-Feb: Home Living in North Georgia. 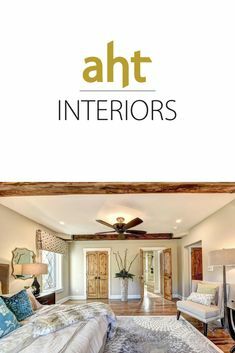 AHT Interiors’ article, 2016: A Look at the Trends for Interior Design, was included in the Spring issue. 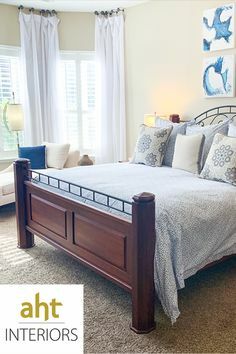 2016-Jan: Best of Houzz 2016 Designation. 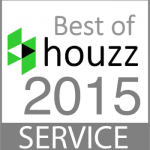 AHT Interiors has again been awarded “Best of Houzz” for Customer Satisfaction by Houzz.com! Customer Satisfaction honors are determined by a variety of factors, including the number and quality of client reviews we received in 2015, a few of which you can read here. We are very honored to receive this award for a third time, in addition to the Houzz Influencer designation! 2015 – May: Points North Magazine Article. 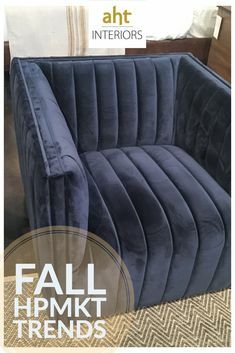 Comfort is the New Chic: The Season’s Carefree Attitude Arrives in home design. 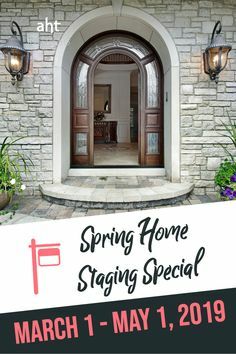 Best of Houzz 2015 Designation. AHT Interiors has again been awarded “Best of Houzz” for Customer Satisfaction by Houzz.com! Customer Satisfaction honors are determined by a variety of factors, including the number and quality of client reviews we received in 2014, a few of which you can read here. 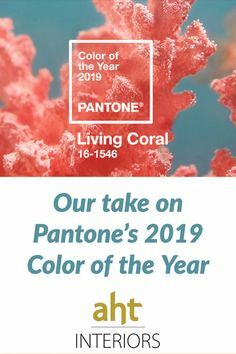 We are very honored to receive this award for a second time! Best of Forsyth. 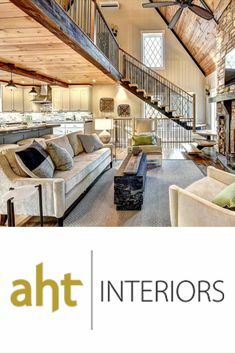 AHT Interiors has been designated “Best Interior Designer”in the 2015 Best of Forsyth contest! We appreciate this award from our neighbors in Forsyth, one of the fastest growing counties in the U.S.
2014 – Jan: Best of Houzz 2014 Designation. 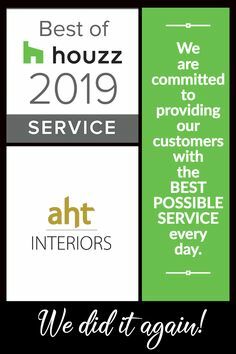 AHT Interiors has been awarded “Best Of Houzz” by Houzz, the leading platform for home remodeling and design designation for Customer Satisfaction. AHT was chosen by more than 16 million monthly users that comprise the Houzz community. 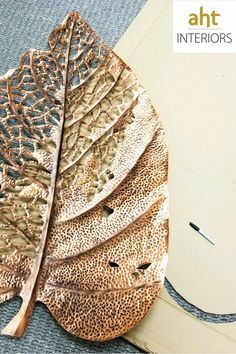 2013 – Dec: NorthFulton.com Article. 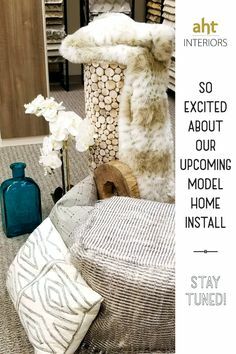 Designing Dreams: Family gets new $20k master bath and bedroom redone thanks to Designing Dreams. 2013 – Dec: Forsyth County News Article. 2013 Designing Dreams recipient, Terri Wylie’s reaction to the makeover of her bedroom and bathroom. Appen Media Group 2013 Gala – Best of North Fulton & South Forsyth GA. A big thank you to all of those who came out to Appen Media Group’s first Award Gala last week at the Metropolitan Club in Alpharetta, GA. There were some fabulous speakers, and over 250 attendees. Click picture to link to video. 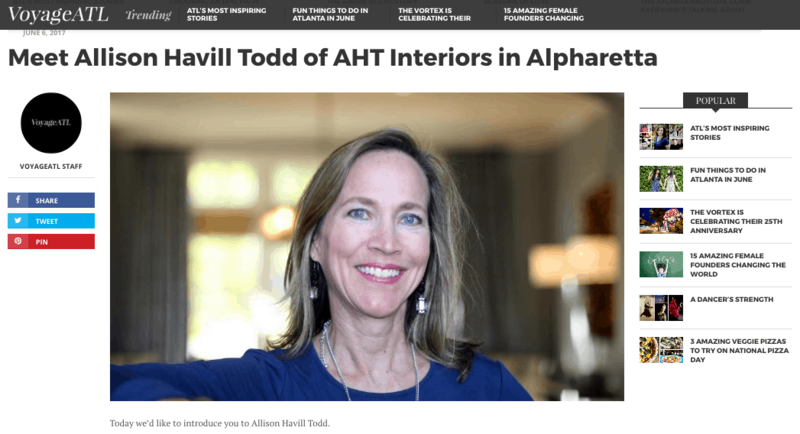 2013 – Nov: AHT Interiors Wins 2013 Best Interior Designer In North Fulton & South Forsyth in recognition of being a leader in her field and in our community. Appen Media Group, operator of www.NorthFulton.com with an average of 70k unique monthly viewers, conducted their 2013 Best Of nominations earlier this year, and Allison was voted 2013′s Best of Interior Design in Forsyth and North Fulton Counties. Allison was honored to be asked to share her story for the recent issue of Voyage ATL magazine!